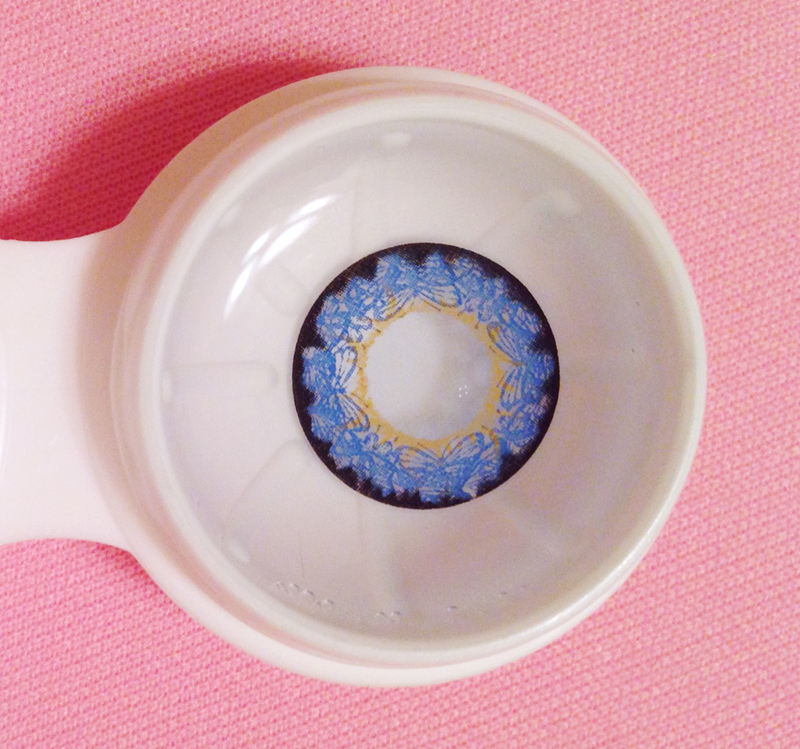 Today I am reviewing the Flora Blossom series of circle lenses from Honeycolor Online Circle Lens Store. I thought I would kick things off with a something I get asked about all the time. Everyone wants to know about circle lenses. Which is the best? How comfortable are they? How do they look on light-colored eyes? Well here are some answers for you! As a model of all things kawaii, I get the exciting job of testing out lots of different lenses. Of all the lenses I have, I have to say that the Flora Blossom series is my current favorite series. At 15mm, they provide a great enlarging effect, the colors are vibrant and amazing, and they are very comfortable to wear. When you order from Honeycolor.com, you get the lenses in a little glass vial which is pretty standard across the board, no matter where you order from. I've always found their shipping to be very fast, especially considering they are coming from Malaysia and I am based in the US. 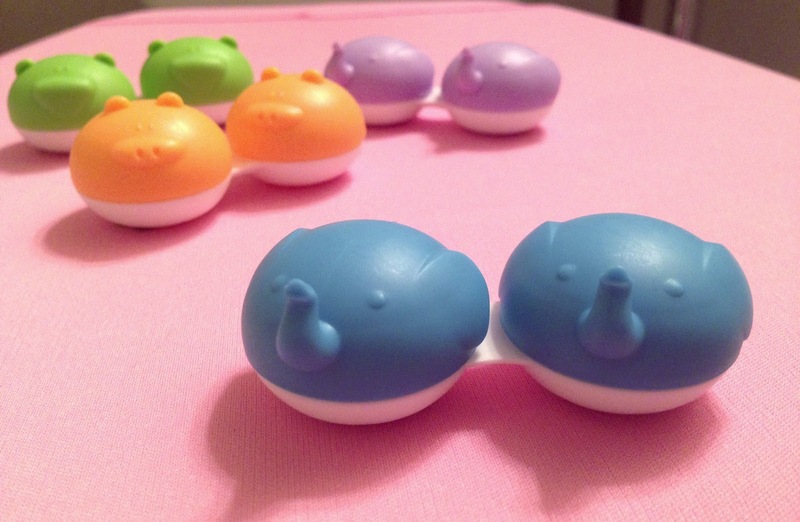 The lenses also come with a complimentary adorable animal case to store your lenses in. The Flora Blossom series comes in blue, green, brown, and grey. The design has a yellow/brown ring around the middle to help the lens blend into your natural eye color. The thin black outer ring gives the lens a slight dolly effect, but it's not as pronounced as the extremely dolly Dolly+ series. Don't forget to let your new lenses soak in contact solution (not the liquid in the vial!) for at least 6-8 hours before wearing them. I know it's tempting to try them on right way, but your eyes will thank you in the long run! You can see in the first photo that my eyes are naturally a light green. When I was researching my first pair of circle lenses, I had a really hard time finding photos of circle lenses on light colored eyes. I hope this blog finds some people that are in the same boat that I was! You can also see in the second photo how crazy huge the enlarging effect is. 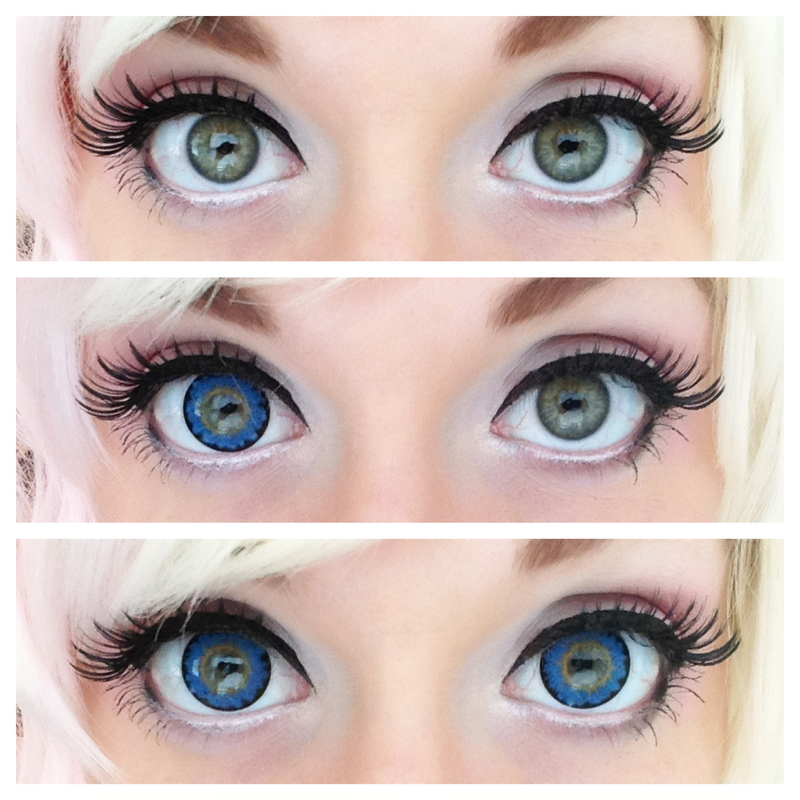 Flora Blossom circle lenses in blue, green, grey, and brown. Here they are from farther away. Pajama party! Sometimes you just gotta rock sheep pants, ya know? I love this design! As I said before, this is one of my favorite sets that I own. These show up great on my light eyes, but I can't speak for what they will look like on dark eyes. Even though these are huge and the dark outer ring makes it pretty dolly, I wear the green ones on a regular basis (mostly for the enlarging effect since I have naturally green eyes) and always get compliments on how beautiful my eyes look while wearing them. They aren't too unnatural that they are scary, but they aren't exactly natural either. Well, that's it! What do you think of the Flora Blossom series? I would love to hear your thoughts on the lenses and answer any questions you may have regarding... well... anything! For someone like me who has never owned a pair of circles this is helpful! I am worried they will be uncomfortable..but everyone says with the smallest circles its only slight is that true? Hi Whitney! Have you worn regular contacts before? If not, then putting them in and getting used to them at first is really hard (you get used to it though), but if you have worn contacts before, then it's no sweat! Once they are in and settled, I can't feel them at all. I forget I have them in! The ones with smaller holes in the middle are a little more noticeable to the wearer than the ones with wider holes, just because they can (but don't always) make a "halo effect" on your vision in dark places where your pupil is bigger than the hole. Does that make sense? Thanks for the great question! 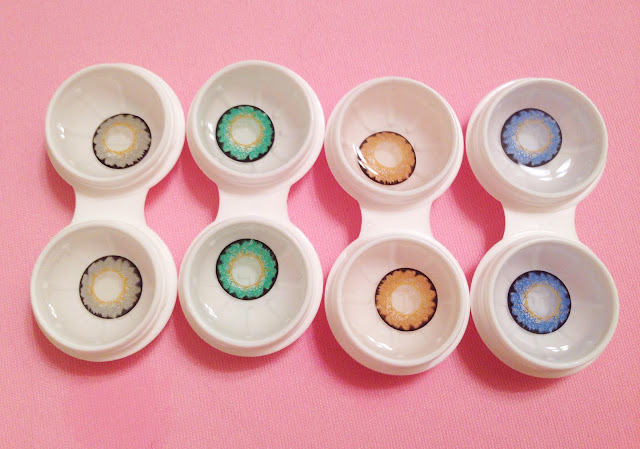 Fantastic colors, I love coloured contacts and all the pairs above are astonishing. You look awesome with these contacts, especially in blue it suits you a lot. Your eyes are just like a Disney cartoon. And thanks for the review, I wanted to know how the blue ones looked on light eyes.